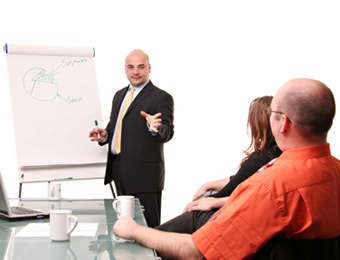 One of ON-TRACK's core competencies lies in our ability to deliver high quality customized training. With highly experienced and qualified in house instructors we are able to tailor-create a course revolving around the needs of you. These sessions are focussed directly on the criteria in which you specify in your learning objectives and we adapt the content which you require. ON-TRACK guarantees that your employees can immediately apply what they have learned to their current work situation. With our hands on style of instruction, ON-TRACK can provide the most cost effective training solutions for any training requirement. We offer both on-site training at your facility as well as classes in one of our own training rooms. As well, our instructors are always open for full support after the training has been completed and they are happy to respond by phone or e-mail to support our clients with what they learned. Whatever your current needs may be ON-TRACK is determined to find a solution and is a highly capable provider of your corporate and custom requirements.